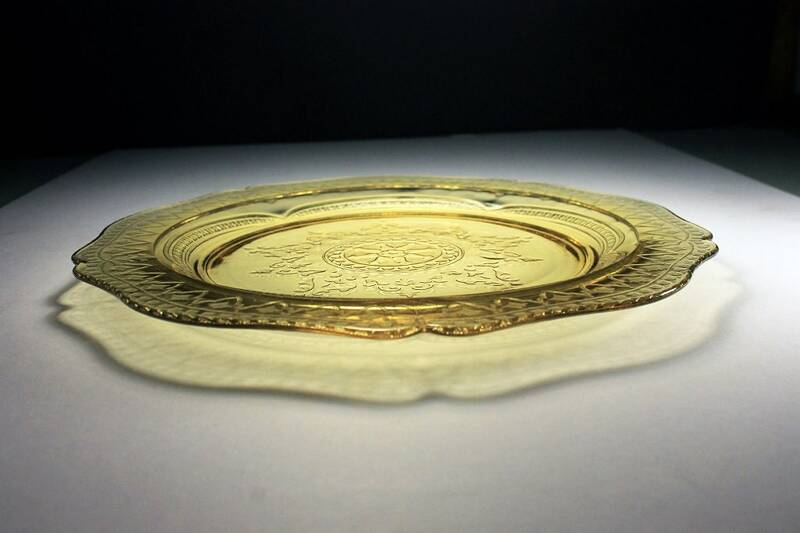 This is a lovely amber depression glass dinner plate. 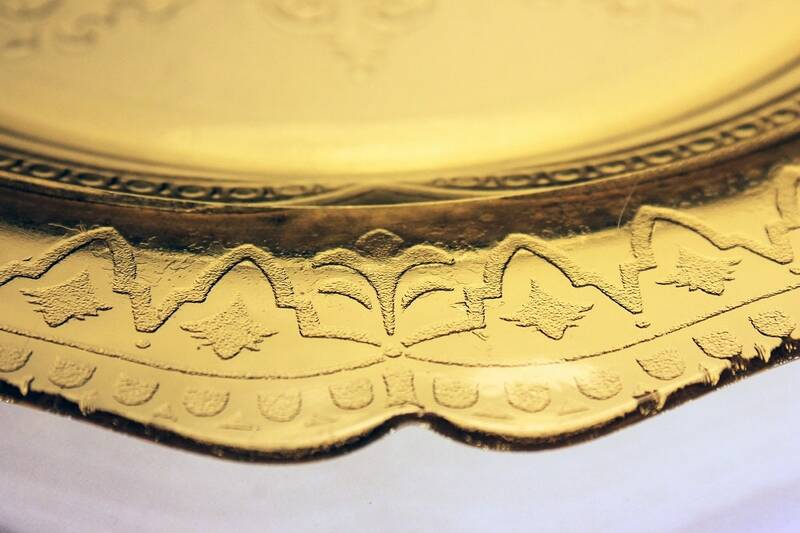 It was made by Federal Glass in the Patrician Spoke pattern. This pattern was discontinued in 1937. 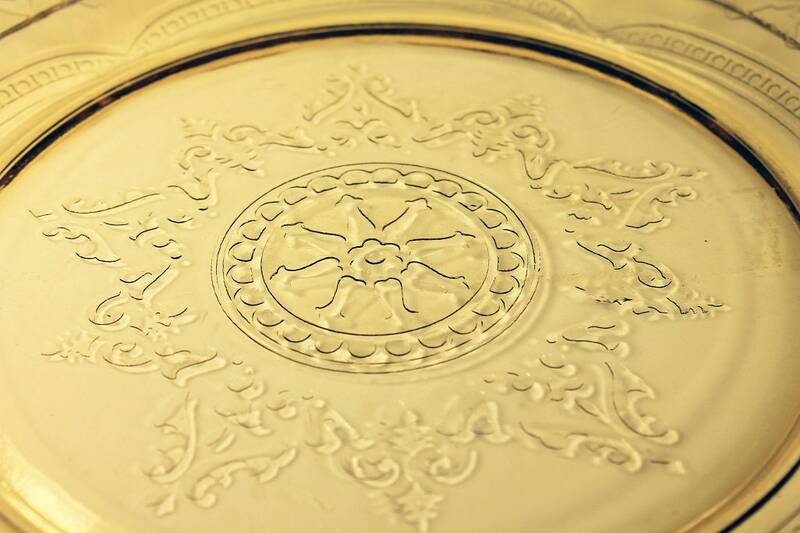 The etched pattern is on the exterior leaving the top side of the plate smooth. 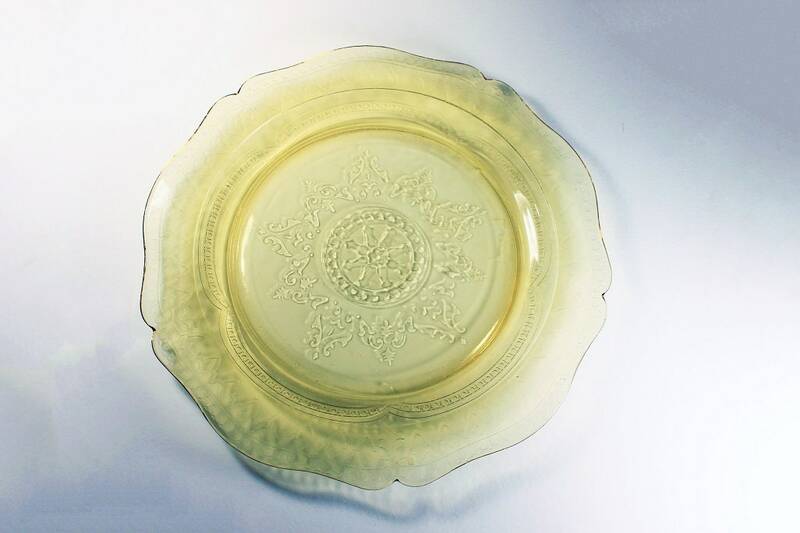 This is a wonderful dish for an afternoon tea, to brighten a buffet table or make a dinner table statement. A perfect way to show off your homemade baked goods. 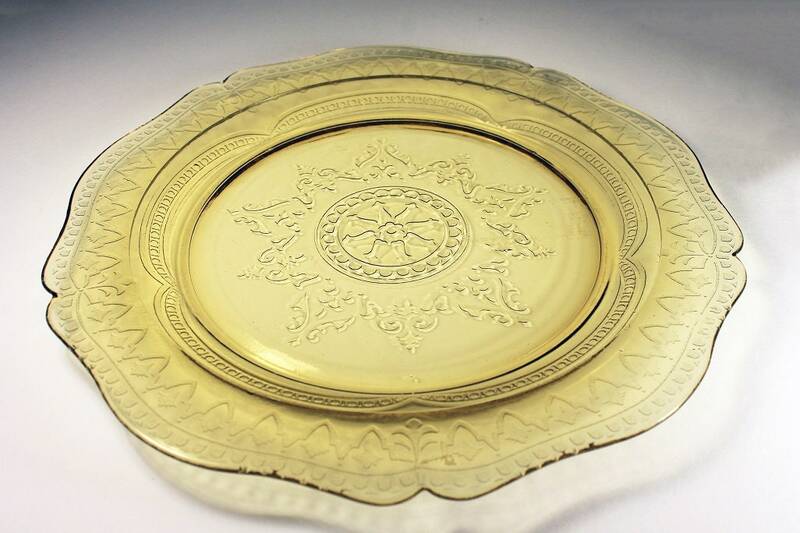 This is an elegant plate from by-gone days. 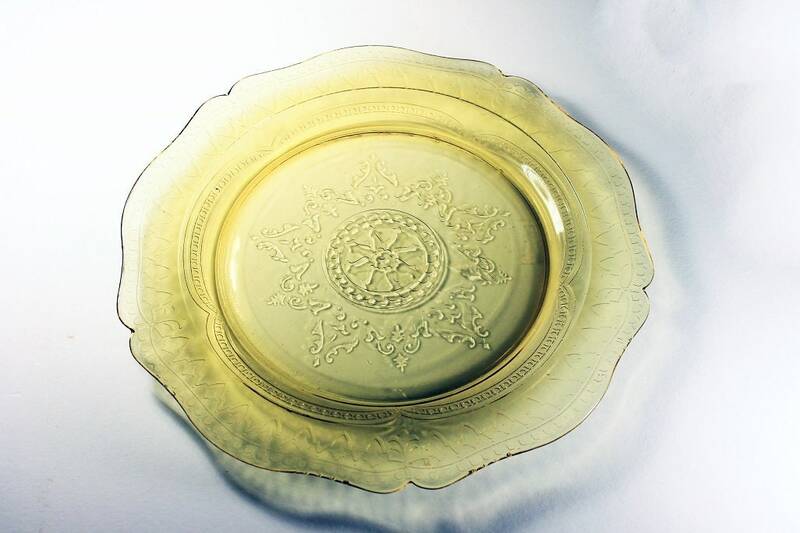 This is a great dish for a depression glass collector. 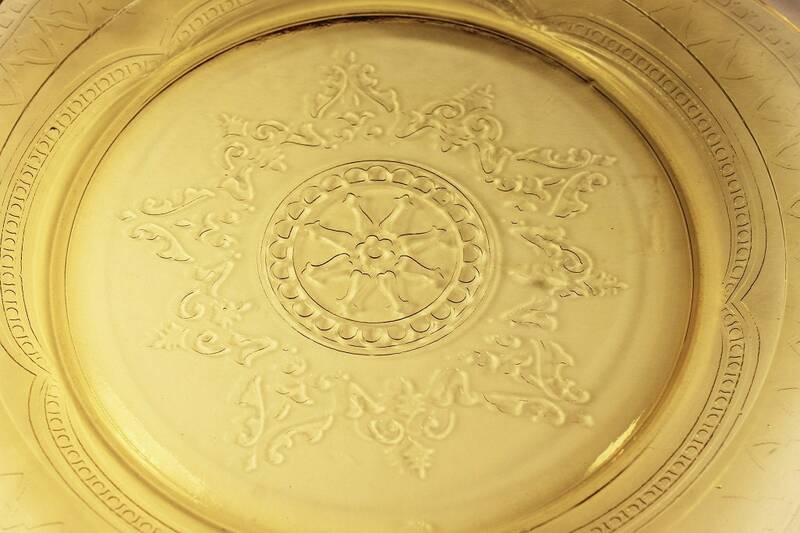 This plate is in great condition. There are no chips or cracks. 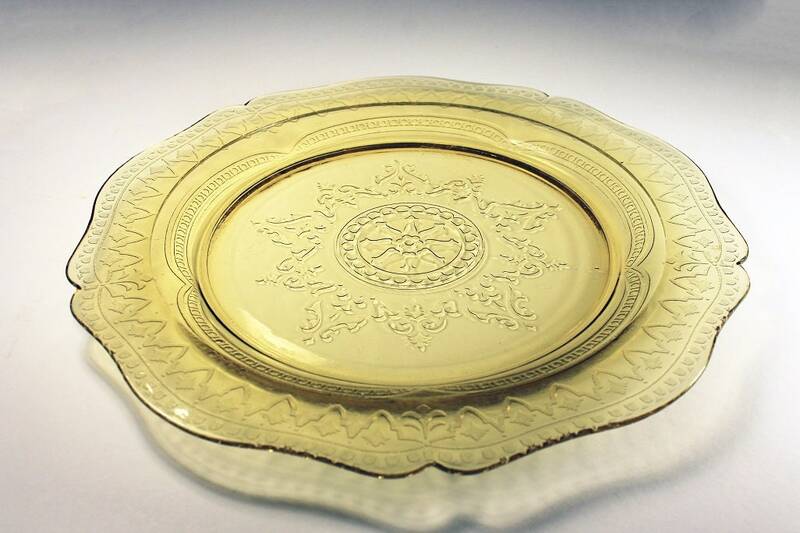 There are utensil marks from it's years of being loved and used, these marks do not take away from the beauty of this amber plate.